Refined Dermatology (Los Gatos) - Book Appointment Online! Refined Dermatology is a comprehensive dermatology practice encompassing surgical dermatology, laser and cosmetic dermatology. Years of experience allow us to offer accurate diagnosis and treatment of general dermatologic skin conditions such as acne, rosacea, and pigmentation; and skin cancer detection and treatment including Mohs Surgery. 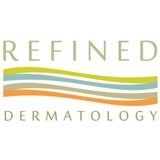 Under the direction of Board Certified Dermatologic Surgeon Dr. Steven Swengel, the care team at Refined Dermatology takes pride in offering our patients the latest and most advanced laser/light-based treatments, plus a full complement of injectables for facial rejuvenation including Botox. Our newest additions for facial and body rejuvenation include Ultherapy for nonsurgical tightening/lifting of skin, Zwave therapy for cellulite and CoolSculpting for noninvasive fat reduction. We also offer laser hair removal - safe and predictable for all skin! It was good service with a smile. Excellent, professional care, as always! I always feel confident with any procedure and trust the artistry of Dr. Swengel.